You don't need your phone either. It's taken a while, but finally Google Home speakers in the UK can be used to make hands-free voice calls. The feature was announced at Google I/O 2017 and introduced in the US last August. Brits have waited patiently since then (or switched to Alexa, which has offered voice calls since October) for the same functionality — today, that mental fortitude pays off. To get started, simply say "Ok Google" or "Hey Google" followed by the person or business you'd like to call. You don't need your phone either — the speaker will use Google Contacts as an address book and place the call over Wi-Fi. Update: As one of our readers pointed out -- Alexa-based calls only work between Echo devices (or a smartphone with the Alexa app installed). Google's implementation is, therefore, different and drastically more useful. Google Home speakers can recognise up to six different users in the UK. That means any of your flatmates or family members can say "call mum" and get the right person. Google's Assistant can also find the number for "millions" of businesses across Britain, so phoning your local pharmacy, mechanic or pizzeria should be a breeze. When you call someone for the first time, your Home speaker will show up as an unknown or private number. It's a pain -- especially if you're trying to call grandma -- but you can set up caller ID so your number appears for every subsequent call. 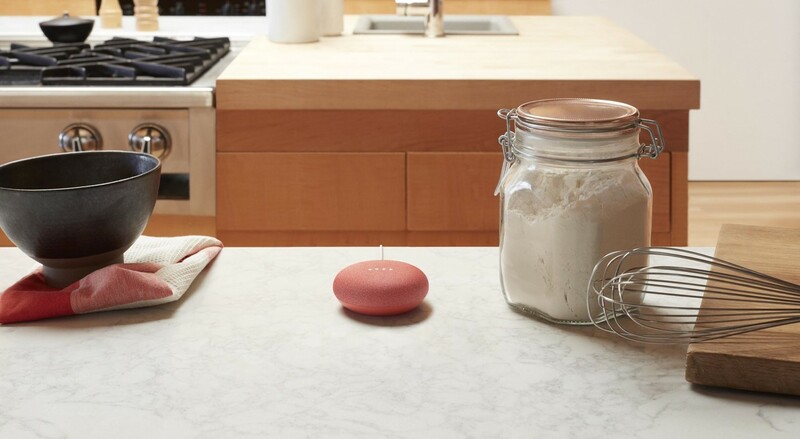 To celebrate Mother's Day (in the UK, anyway) Google is dropping the price of its coral-colored Home Mini speaker by £10 to £39 until March 12th. Before, it was a Google Store exclusive, but now the pinky-orange hardware is available in Currys PC World, John lewis, Argos, Maplin (while the company still exists, anyway) and a bunch of other retailers too.